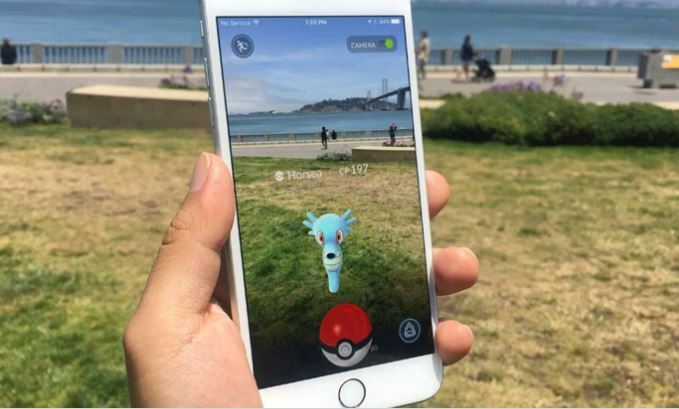 “Pokémon Go is a free-to-play location-based augmented reality mobile game developed by Niantic and published by The Pokémon Company as part of the Pokémon franchise. It was released worldwide in July 2016 for iOS and Android devices. The game received mixed critical reception. It was praised by some medical professionals for potentially improving the mental and physical health of players, but attracted some controversy due to reports of causing accidents and being a public nuisance to some locations. While the Kingsport Police Department certainly encourages activities that allow individuals to socialize with fellow citizens and exercise the mind and body, we urge people to consider some inherent risks and follow some basic safety tips when playing this game. 1) People have been observed walking around, blindly staring at their smartphone screens, completely oblivious to their surroundings. This creates the risk of slips, trips, and falls as well as walking out into a roadway in the path of vehicle traffic. This also creates the risk of individuals being caught unaware of other potential threats to their safety and unprepared to react. 2) There is significant concern that someone might try to play this game while operating a motor vehicle. Of all of the countless distractions to motorists, playing a video game on a smartphone would certainly rank near the top of the most dangerous list. 3) There have been reports of people unintentionally wandering on and trespassing upon private property while playing this game. There have also been reports of large groups of people gathering to play this game and in turn, creating a public nuisance or disturbance at a particular location or interfering with the ability of others to conduct business and activities. 4) While none appear local, there have even been reports of criminals using the GPS feature of the application to locate potential victims in a secluded area or lure potential victims into an ambush. It is never a good idea to broadcast your live GPS coordinates to unknown members of the general public. In summary, players of Pokémon Go are encouraged to have fun, but temper that fun with a solid dose of common sense.